Madison might be the capital of Wisconsin, but students rather than politicians give the city its identity. Kick off your visit on the 14th (Thu): identify plant and animal life at Lakeshore Nature Preserve at University of Wisconsin, stop by Gail Ambrosius Chocolatier, then admire the natural beauty at Olbrich Botanical Gardens, and finally ponder the world of politics at Wisconsin State Capitol. To see ratings, other places to visit, and other tourist information, refer to the Madison trip site . Use the Route module to find suitable travel options from your home destination to Madison. In February in Madison, expect temperatures between 30°F during the day and 12°F at night. Finish up your sightseeing early on the 14th (Thu) so you can travel to Miami. 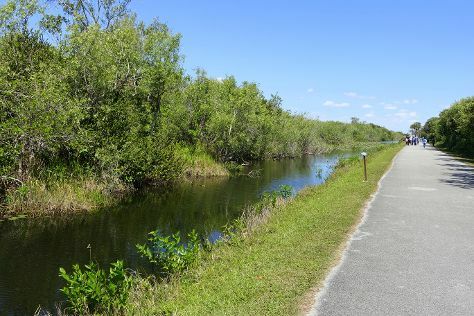 Explore the numerous day-trip ideas around Miami: Shark Valley (in Everglades National Park) and Fort Lauderdale Beach (in Fort Lauderdale). The adventure continues: take a stroll through Lincoln Road, appreciate the extensive heritage of Art Deco Historic District, buy something for everyone on your list at Bayside Marketplace, and see the interesting displays at Vizcaya Museum and Gardens. To find where to stay, reviews, maps, and tourist information, use the Miami trip planner. Traveling by flight from Madison to Miami takes 8 hours. Alternatively, you can do a combination of bus and flight; or drive. The time zone changes from Central Standard Time to Eastern Standard Time, which is usually a 1 hour difference. Plan for warmer temperatures traveling from Madison in February, with highs in Miami at 79°F and lows at 65°F. Finish your sightseeing early on the 19th (Tue) to allow enough time to travel back home.